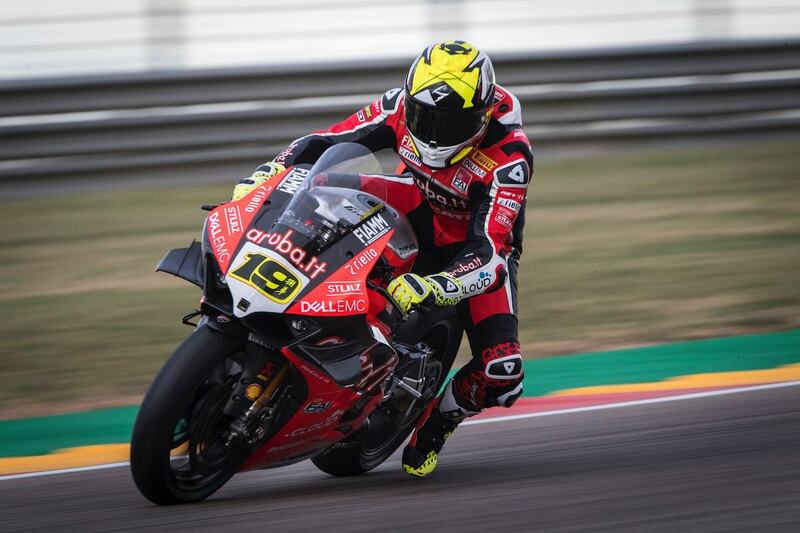 Ducati’s dominance continued in the 3rd round of the 2019 WSBK season too as Alvaro Bautista had another perfect round at Motorland Aragon, Spain. The 34-year-old rookie Spaniard made it a heck of a show for the home crowd. He claimed the Superpole, won the Superpole race and won the two races over the weekend. Seemingly the Ducati Panigale V4 R and Alvaro Bautista are holding nothing back and look to continue this dominant run. Bautista claimed the win in both the races over the weekend ahead of the reigning four-time WorldSBK Champion Jonathan Rea. Rea finished 15.1s behind Bautista in Race 1 and 6.8s behind in Race 2. The fact is that this does not come as a surprise because Bautista, aboard the Panigale V4 R, has claimed all the races of this season till now. Bautista and Ducati now have 9 wins in the 2019 WSBK i.e. they have won 6 of the 6 races and 3 of the 3 Superpole races. Bautista is now sitting at 186 points which is 39 more than Rea. Chaz Davies, Bautista’s teammate finished in the 3rd position in both the races. Another notable feat that came as a result of Bautista’s win is that Ducati now has a record 350 victories in the World Superbike Championship since the series began in 1988. “Despite this, I was able to stay focused, understand the situation on the track and push hard all the way. In the end we have won nine races out of nine and I’m so happy about that. The team has done an incredible job, we are on the right path and I’d like to thank Aruba, all Ducati and my team because the congratulations should also go to them.” He added. The next round of the 2019 WSBK is going to take place in Assen for the Dutch TT, from April 12-14. Alvaro Bautista nails his debut: Wins maiden WSBK race by almost 15s! How to clean k&n ??? By farru in forum Help Me!